It's time for another reader survey! It's all well and good for me to post about a book I've read and enjoyed, but here's some input from an actual teen. Books recently read for fun: Fall of Giants by Ken Follett - It took me a while, but it was a fantastic read and ultimately awesome! - and Eleanor & Park by Rainbow Rowell - heart-wrenching, and you really want the main characters to get together. 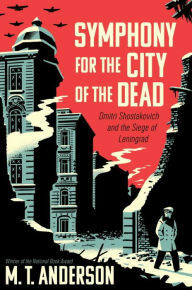 Books you want to read: Winter of the World and Edge of Eternity, the second and third books in the Century Trilogy by Ken Follett. Books you read as a kid: Harry Potter! Book of choice; just great. My sister read the 7th book 13 times. Why you like to read: I can't stop reading; it's a passion, and it takes my mind off school. Favorite book genres/topics: Sci-fi/historical fantasy. 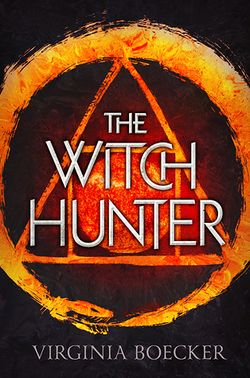 Fantasy books transport me into new worlds (so) it's hard to stop reading. Favorite movies: Airplane! My favorite movie by far. I love comedy movies. Anything else you want to say: Reading is awesome! It's that time of year for bloggers to make some lists. So, with the caveat that there are a lot of 2015 books that I haven't gotten to yet, like Thing Explainer, here are my five favorites from this year. Lynsey Addario is now an acclaimed, award-winning photojournalist and combat photographer who has worked in Afghanistan, Iraq, Sudan, and Libya (where she and several colleagues were kidnapped). But though she began taking pictures as a teenager, she never considered photography as a career until after graduating from college. At first, photography was something she did to earn money to travel around the world. Then, as she increasingly ventured into dangerous regions despite the risks and the effects on her personal life, it became her job and her calling. 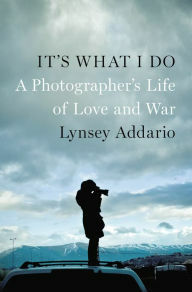 It’s What I Do, featuring some of Addario’s photographs, is an eye-opening memoir exploring how she became a photographer and why she continues to venture around the world to document war and injustice. Labels: History Matters , Mixed Media , Real Lives , War - What Is It Good For? Family and loss are themes that are not usually the themes in jfic books and when one does encounter one such book it is hard not to feel depressed upon completion of the book. This novel is different however, so light is the author's touch (it is no wonder she has won awards for her writing) that the book is a page turner despite the heavy subject matter. Back in the fall, The New York Times Magazine asked its readers whether they would go back in time and kill baby Hitler if such a possibility existed. And because we are heading into an election year in America, and because the twenty-four-hour news cycle must be constantly fed, and because the Internet and any mention of Hitler is a toxic combination, the question went viral. 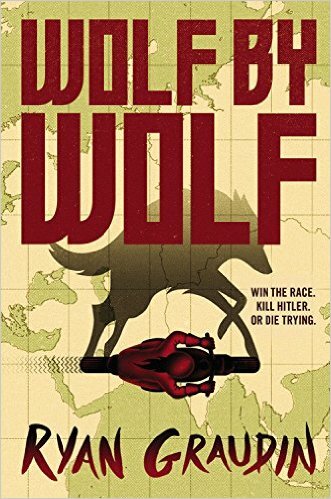 Labels: Historical Fiction , War - What Is It Good For? Who says a book needs to be a new release? Certainly not those of us at Guys Lit Wire. This one has the benefit of being out of copyright and therefore available for free download on pretty much every platform you can think of, though being a bit of a traditionalist, I prefer an actual book. There's a lovely, slim, leather-clad volume available quite reasonably at Barnes & Noble, but today, I'm going with the Candlewick Press edition illustrated by P.J. Lynch, since it was close at hand. Perhaps you've seen one of the (many) film versions of this story, from the Muppets to Patrick Stewart to Vanessa Williams to Bill Murray (in Scrooged) to musical versions and animated versions (including Mr. Magoo, Mickey Mouse, and one with Jim Carrey). They are all good, in their ways, but nothing comes close to the humor of Dickens's writing, and the conversational tone of the narrator. Marley was dead, to begin with. There is no doubt whatever about that. The register of his burial was signed by the clergyman, the clerk, the undertaker, and the chief mourner. Scrooge signed it. And Scrooge's name was good upon 'Change, for anything he chose to put his hand to. Old Marley was as dead as a door-nail. The mention of Marley's funeral brings me back to the point I started from. There is no doubt that Marley was dead. Some literature—novels, short stories, essays—you are meant to read, silently, to yourself. But some—spoken word poetry, play scripts, film scripts—have to be performed to be complete. You can read them, sure, but you're truly only getting a fraction of the picture. 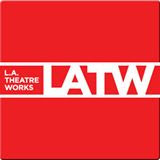 LA Theatre Works is a loosely affiliated group of actors who perform audio-only productions of many of our finest theatrical works. The casts are often composed of well-known tv and movie actors like John Lithgow, Hilary Swank, Neal Patrick Harris and many many others. Most of their plays are from the nineteenth and twentieth centuries. They run the gamut from recent Broadway dramas by the likes of John Guare and Wendy Wasserstein to classics like Arthur Miller’s a Death of Salesman. They do, however, have a number of productions by Shakespeare and Sophocles. Here’s a hint: If you’re struggling to read Hamlet or Romeo and Juliet or Julius Caesar for English class, try to listening to a professional production instead. It will do wonders to clear up the language. And it’s not cheating, I swear!